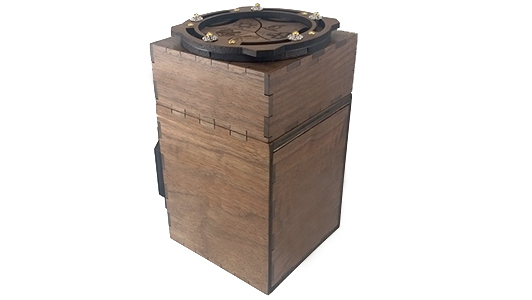 The best ride for your power nine! 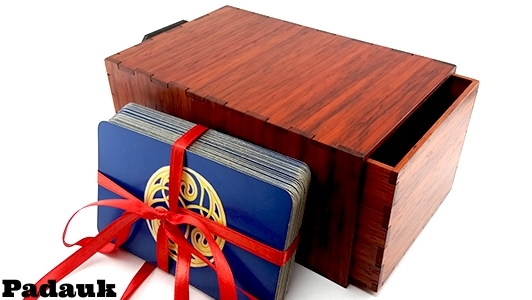 The peak of beauty and function in a deck box. 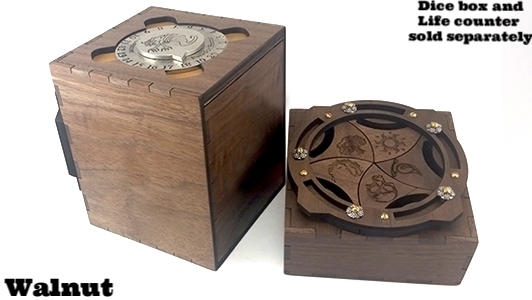 Opens via rotation of the back dial. 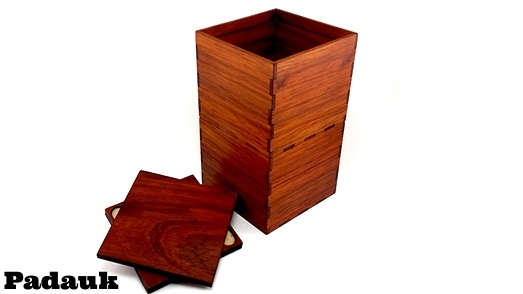 Room for 100+ double sleeved cards. 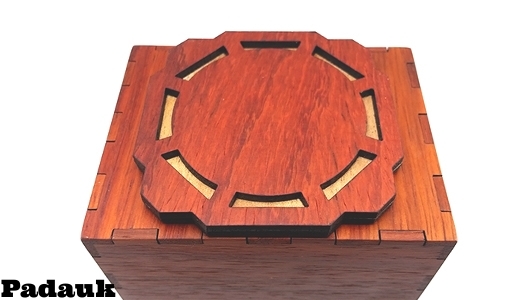 Inner tray is slotted for easy access to your deck. 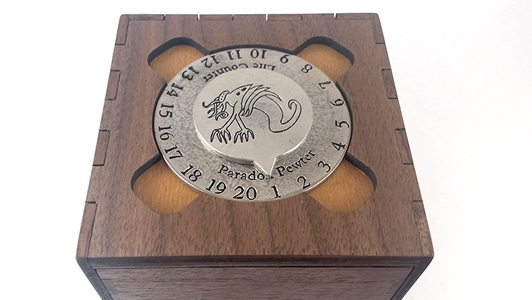 Top area also doubles as a holder for our pewter life counters. 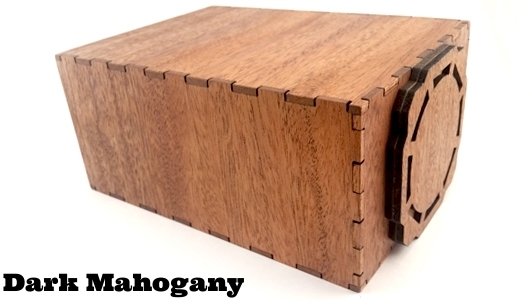 When ordered with one of our Talon compatible dice boxes, you'll get a wood grain matched set. 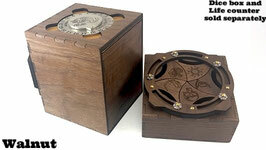 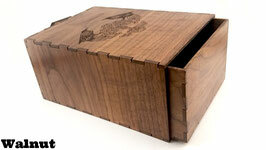 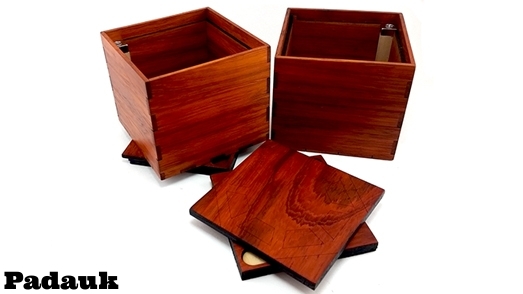 Talon Deck Boxes come in your choice of woods and can have a custom image, logo, or text engraved. 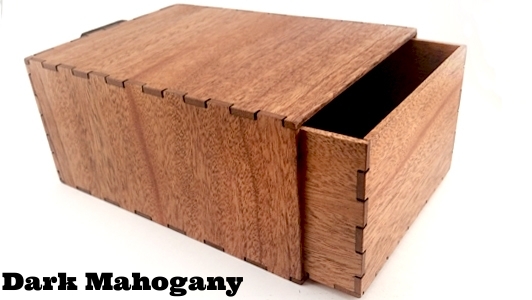 Enigma Deck Boxes come in your choice of woods and can have a custom image, logo, or text engraved. Built to fit standard sized tarot decks, even when wrapped in cloth. 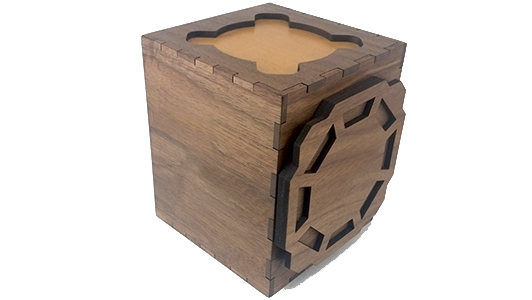 Interior size: 3 3/4" x 5 5/8"
Built to fit large tarot decks, even when wrapped in cloth, or a standard sized deck with room for other objects. 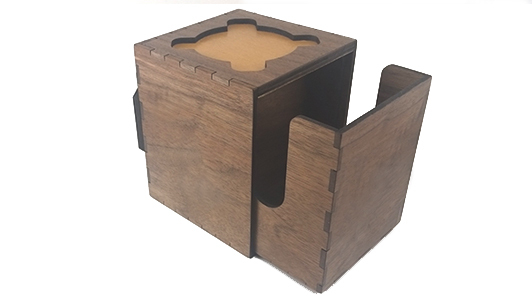 Interior size: 4 1/2" x 6 1/8"
Keep your tea safe from air and light! 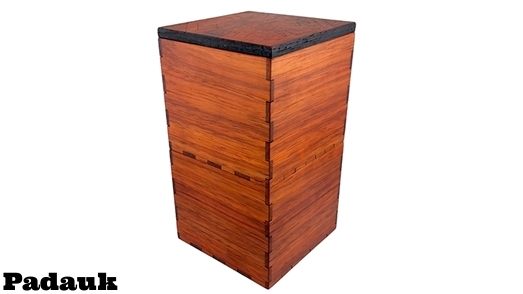 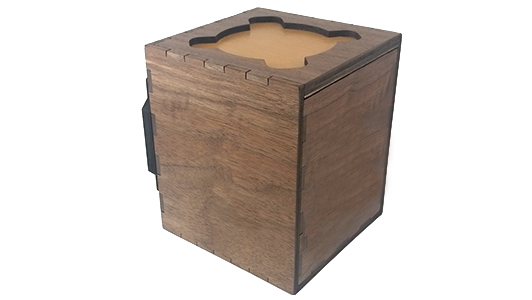 2 tier Tea Boxes come in your choice of woods. Logos or text can be engraved on the box as well.